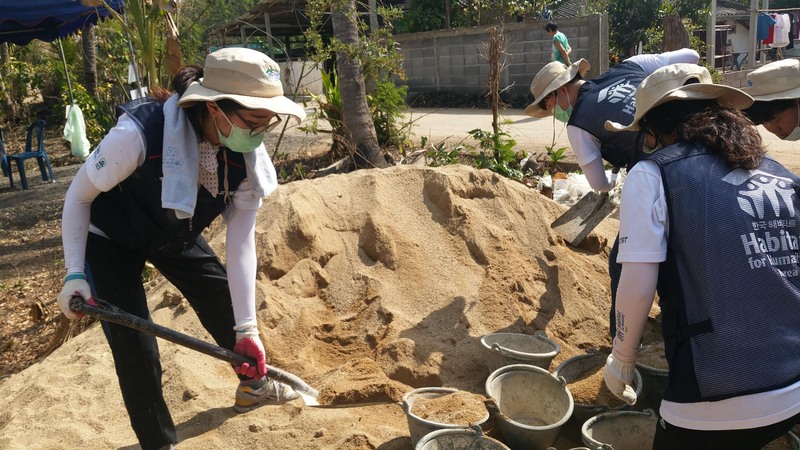 UNIST volunteers built and dedicated houses in Thailand. 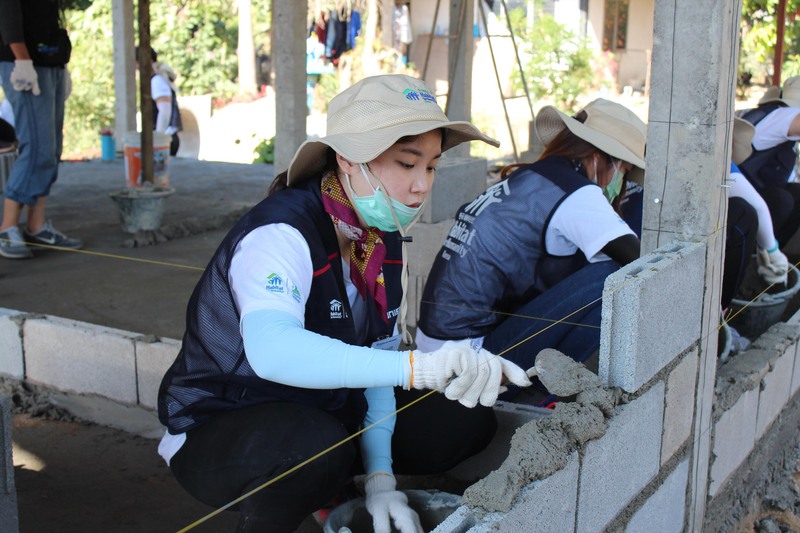 UNIST student voluntary group including 19 students built the houses in Chiang Mai, Thailand from January 12 to 20, 2016. 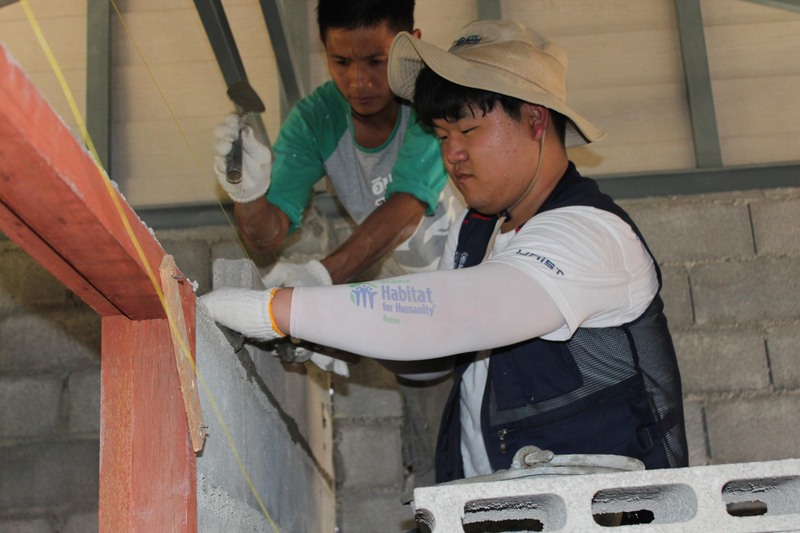 Habitat is an international foundation that improves the lower-income group’s residential environment. 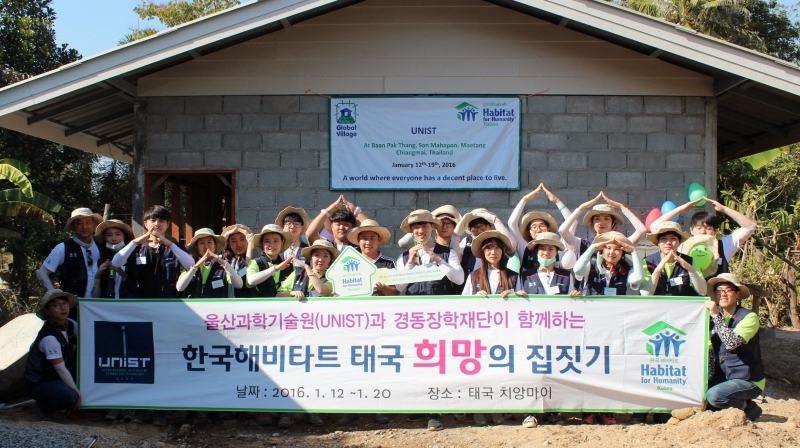 This volunteer activity was processed with the Habitat Korea and a group of UNIST student volunteers who had received the scholarship from KyungDong City Gas. 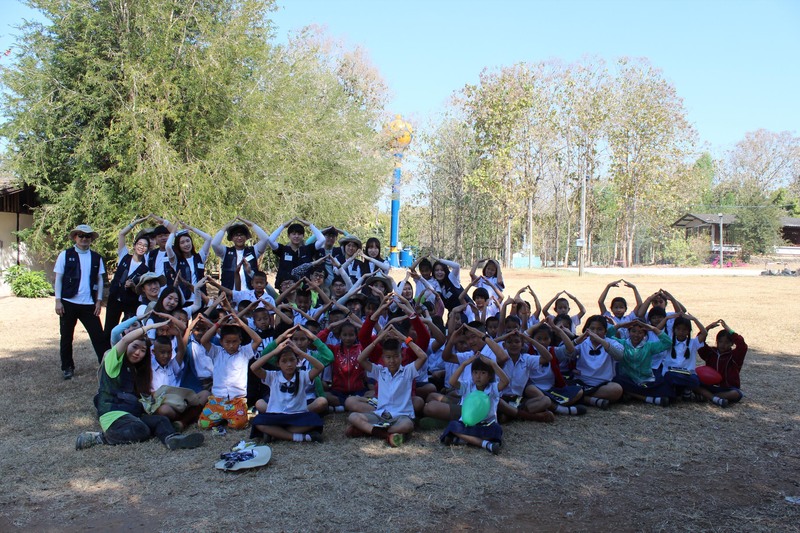 UNIST student volunteers went to Thailand to help to build a better living environment. 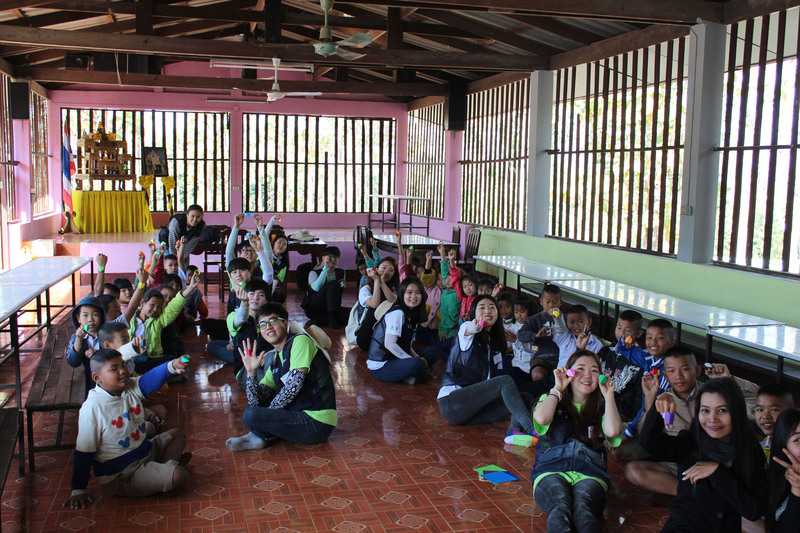 They were divided into two different groups with the local staffs and built two houses. They mainly did floors, set the water tanks and constructed the walls with bricks. 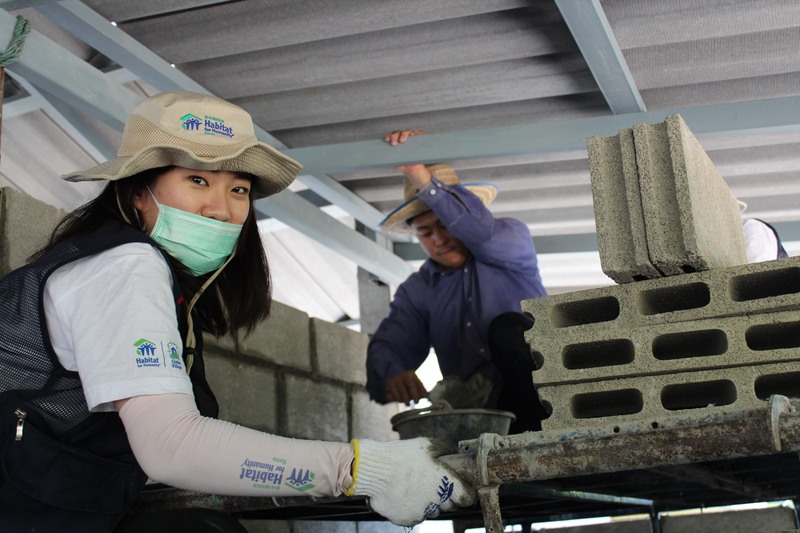 The houses they built for a week were dedicated to two families. First was for Ms. Patcharapon, a single mother who is raising a four year old son, and second was for Mr. Tongchai, a local postman.